It’s not a secret that exercise is one of the healthiest habits we can invest our time in. Unfortunately, the vast majority of people do not incorporate nearly enough exercise into their daily lives. And with many adults failing to meet both aerobic and strength exercise recommendations, it’s not entirely surprising that many children are also not getting the amount of exercise that they need – particularly during the summer. Currently the American Heart Association, or AHA, recommends that children take part in at least 60 minutes of enjoyable, moderate-intensity physical activities every day. But as many as 75% of children may be missing this healthy living milestone – which is bad news for multiple reasons. Everyone knows by now that exercise is a key part of maintaining a healthy weight. But this is just the beginning of the benefits regular exercise has to offer. According to the AHA, exercise is associated with an increased life expectancy and a decreased risk of cardiovascular disease in both adults and children. Physically, exercise is also known to help keep bones, muscles and joints strong. Exercise can also decrease stress, help a child feel accomplished and confident, and even increase their ability to focus and do well in a classroom. Unfortunately, children who do not exercise are likely to continue to neglect this healthy habit into adulthood, putting them at an increased risk of suffering from health issues such as heart problems and diabetes later in life. Because of this, it’s important for parents and family members to encourage their children to be active and to work at fostering a healthy attitude about exercise early in life. 1) Sign them up for a school (and then a summer) sport. 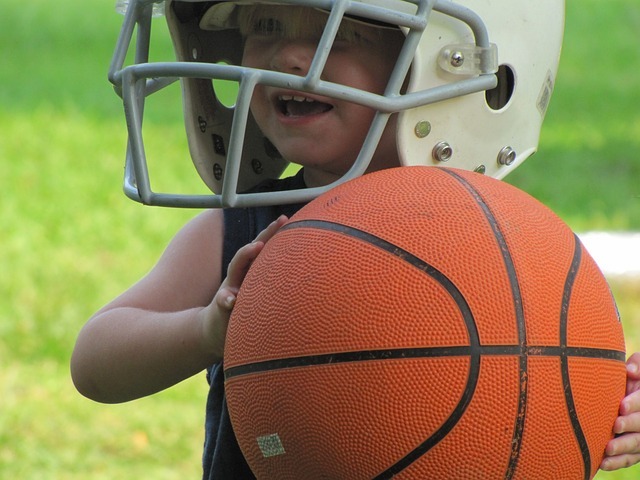 Sports are one of the easiest ways to get children involved in an activity that keeps them up and moving, both during the school year and during the summer. Not only will soccer, basketball or any number of other sports help your child hit their exercise goals – it can also benefit them emotionally and academically. 2) Don’t limit your child to the playing field. Organized team sports aren’t for everyone; if your child isn’t comfortable signing up for one, you may want to consider introducing them to other activities. Dancing, martial arts, and swimming are all great alternatives. Even bowling or yoga are great ways for children to get some exercise into their day. A good rule of thumb is that if it gets them up and moving, it’s worth trying! 3) Set a good example and get moving, too. It’s extremely important that children see their parents getting up and moving as much as they do. For starters, children are more likely to enjoy an activity with a friend or family member. Plus, doing something as a family can help persuade children that exercise is a fun activity – and not just a punishment being inflicted on them. Family hikes, bike rides, hopscotch or even just playing tag or ball in the backyard are all easy ways you can turn exercise into a fun family activity. 4) Take steps to swap lazy days and activities with more active ones. One of the easiest ways to help children hit their daily exercise goals is to swap out a “lazy day” activity with a more active one. For example, rather than taking a day off just because it’s rainy, you could set up a dance video game and start an afternoon dance off with your family. You may also be able to walk while running errands in your neighborhood, as opposed to driving. Little changes like these will quickly add up and help you and your children stay as active as possible, even if you’re not running around playing a sport or hiking every day. 6) Offer positive feedback. While you know that exercise is important for long-term health, it’s much harder for children to understand this. Children are about the here and the now, and are often worried about failing or being teased. It’s important to recognize and work with this mindset. Offering positive feedback about what they did well, and how much effort they put in to a game or a walk, on a day-to-day basis is a great way to do this. Never nag a child about how they’re being lazy or about how they could do a better job. Experts agree that this will do anything but motivate a child, and is actually likely to drive them away from physical activities. Working with children and encouraging them to exercise can take time and patience, especially if you’re looking to find an activity that they enjoy. However, it’s important to take steps that will help children develop healthy exercise habits now. Remember, exercise is as important a habit as brushing our teeth or wearing our seatbelts, and so it may require the same amount of work before it becomes a natural habit for your child. If you’re ready to bump up the activity levels in your home but aren’t quite sure how to do it, try using resources such as the ones provided by kids.gov, or the guideliens provided by Kidshealth.org. You’re also welcome to speak with your doctor here at Genesis Medical, should you have any specific questions about your family that we can help address.